Deoghar is not an important district of Santhal Pargana Division from the point of view of seat of Manokamna Dawdas Jyotirling for Hindu devotees across the country but also has become hub of educational activities not to speak of religious & Spiritual centre for Hindu devotees. District confronts with peculiar problem of law & order and in crime control. Neighboring districts such as Jamui, Banka, Giridih & Godda districts are devoid of education facilities and job opportunities. The Babamandir is a majar source of floating population for paying worship and employment for Job seekers from these district. This trend of regular floating population from Railways as well as transport network in city of Deoghar creates not traffic problem but also augments the burdon on civic amenities along with creating law & order problem and of crime control for the Enforcement Machinery as a Police. The local population along with outsiders who have settled in district H.Q is posing constant threat to criminal activities. The rural as well as urban population from the district of Jamui, Banka, Begusarai, Munger, Lakhisarai, Shekpura of State of Bihar have preferably constructed houses in Deoghar municipal areas due to peaceful religious, cultural & academic environment in district but the criminal elements of from this district have also got opportunities to visit Deoghar to Commit crimes due to their connection with friends & relatives living here. The Hazra Criminals of Jamui & Banka district have always been problem for Deoghar police so far cases of house-breaking, House- dacoity & Road Holdups are concerned. Thirty to Forty thousand commuters pay their visit this town every day. State govt. & Police H.Q pay special care to this district during SHRAWANI MELA but the deputation of force & Police officers are for period of Shrawani Mela only. Every monday witnesses the crowd of pilgrims like Shrawani Mela giving smilar problem for police. The number of vehicles has increased many fold creating regular & constant problem for parking of vehicles of local as well as out of district. Town planners have not visualized this increasing requirement of parking space for this vehicles so there is no parking place in deoghar district. Vechicles coming from out side of district are forced to park on roads and streets. Commercial establishments likes bank, Hotel & Shops have opened their branches but they have hardly left any space for parking of vehicles their customers. District Police Deoghar with instruction and regular monitoring of senior function ores have enforced City Sealing plan and provision of one way traffic system. District as well as municipal administration have been requested to allot vacant land for parking purpose of two & four wheeler vehicles, Which are kept on road & flanks in front of commercial establishments contributing huge problem for district police in controlling traffic deoghar city. Strength of traffic police also requires review. Deoghar district is surrounded by Naxal infested districts as Banka, Jamui and Giridhi which give constant threat of NAXAL activities in boarder areas. The local hostile demographic features are not providing fertile opportunities for growth of left wing extremist activities but this trend will not continue in future if the strength of security aspects followed by development activities in far flung of district are not cared properly. Special care has to be taken mi respect of security scenario specially in boarder area of jamui, Banka & Giridih District. Deoghar district with population of 14,60,053 located in the north-west of Jharkhand state, is an important district not in Jharkhand but in India too. Jasidih & Madhupur are two main Railway Junction’s between Asansol of West Bengal and Patna, capital of Bihar. Deoghar which is popularly known as a Baba Nagri, a seat of Manokamna &Dwadash Jyotirling. Hindu devotees pay their visits this very shrine carrying sacred Gangajal covering more than 100 kms on foot from Sultanganj (Bihar) to Deoghar. The holy month of Shrawan every year is characterized by sea of linear line of humanities in special Kawariyas dresses with the creation of new state Jharkhand. Baba Nagri Deoghar as a district has acquired special attention and privileges of government so far as a management of Shrawani Mela is concerned. Every department of government along with Police get special allotment & Man Power to ensure Law & order and to facilitate Kawariyas Puja & Darshan smoothly without an incident. D.C and S.P of district Deoghar are entrusted with the task of regulating a sea of Kawariyas in Lakhs a day. Governments as well as locals welcome lakhs of worshipers a day for which they are accustomed. 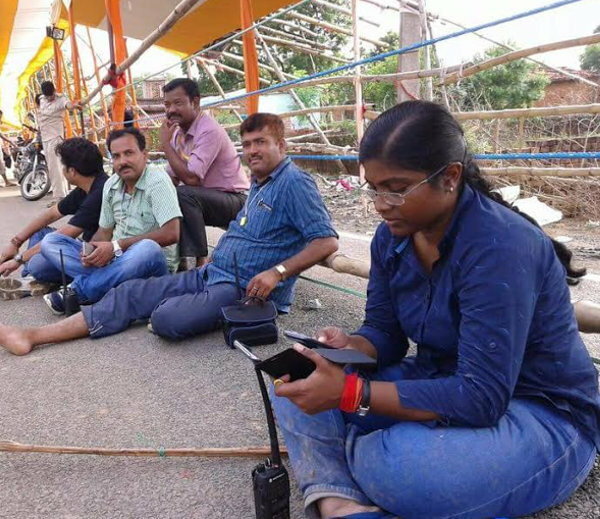 It is the grace of Mighty Lord Shiva that no unto ward incident happens during the one month Sharawani Mela, biggest gathering of devotees in the world. District Police, Deoghar is strengthened and augmented with many fold increase in man power and infrastructure for which district Police is very much grateful to Police Head Quarters. 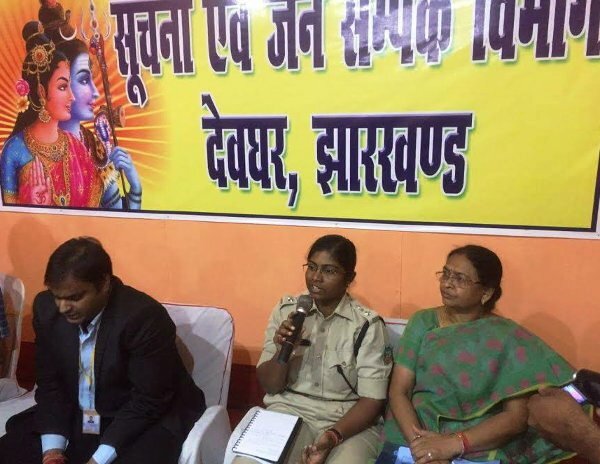 The passing of Shrawani Mela 2010 is very-very special due to extra ordinary support given to district Police from Police Head Quarter Jharkhand, Ranchi in sanctioning fund and Deputating man power and transport. Deoghar district enjoys special position due to Baba Nagri which also paves for economic activities catering to needs of livelihood. District is devoid of adequate rainfall throughout the year & alluvial soil, leading to livelihood of rural population depending on agriculture struggleful and miserable. Single cropping pattern of agriculture depends upon Mercy of Rain God, live rural population idle and no option is left for them but to leave for other places for their livelihood. Supply of water in the form of drinking water or irrigation facilities pose great threat to problems for urban and rural, and Law enforcement machineries. Youth finding no job and engagement are very much prone to the criminal activities for the fulfillment of their petty needs. The economic and social conditions of neighbouring district as Jamui, Banka & Munger all of Bihar state are not different ones. Deoghar district town being a seat of Dwadash Jyotir Kamna ling attracts not only local population to Deoghar District in the search of employment but also give open opportunities to the population of neighbouring districts. Deoghar as a Police point of view and law and order has been peaceful as well as cultural, educational, religious and an economic centre in not only Santhal Pargana but also the eastern part of Bihar. Due to this feature people from neighbouring district of Bihar pay their regular visits to this town in search of employment as daily wage earners and as worshipers. District Police faces acute difficulties in frisking criminals anti social elements. Due to this special feature of floating population of district. Thousand of population in form of retired government servants, rural population and semi urban population of neighbouring district seeking peaceful permanent settlements are preferring to have own houses in Deoghar district H.Q. This demographic phenomenon not only creates regular increasing burden on civic amenities of district but also creates problems for Police as a law enforcement machinery to deal with increasing numbers of outsiders effectively with meagre and fixed strength of man power and infrastructure. Security scenario of Deoghar district assumes prime attention due to extremist activities going on in Naxal infested boarder district of deoghar such as Banka, Jamuey & Giridhi Extremist as well as terrorist activities reported any corner of country bears impact on the security aspect of the district. 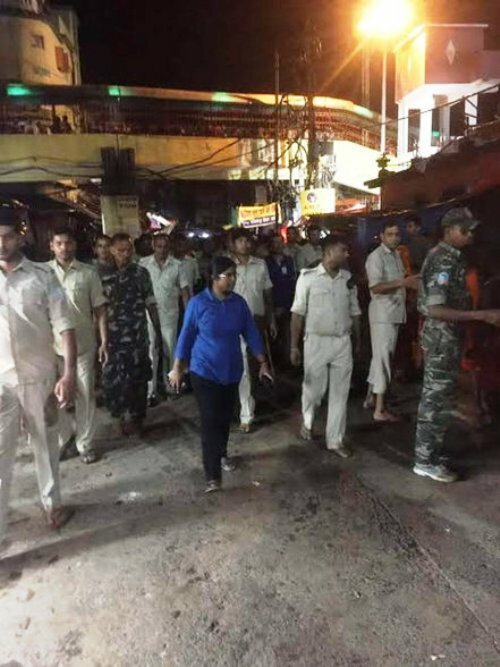 The temple of lord Shiva has been Prone to threat of terrorist attack specially, District Police always visualizes this attack & Prepare for the safety of Pilgrims & Security of the temple of lord shiva. Kawareas & hindu devotes always carry sacred gangajal in Plastic pots while travelling on foot & vehicle from Sulatanganj to Deoghar . It very difficult for police to check pilgrims while frisking them, Bhaglapur district administration has been requested to allow transparent pot for carrying sacred gangajal for offering lord Shiva temple & Kawaria routes not to be strengthen in every month not to speak of Shrawan. These days every month is characterized by features of Shrawani Mela. The security & Safety has to be on the line of Shrawni Mela. Mohanpur. Jasidhi, Devipur, Madhupur & Margomunda are the Police stations where strength of police are to be argmented in high of increased LWE activities in bordering district of Jamui, Banka and Giridih. 14. Sonaraithari P.S 23/18, Dated- 09.06.18, U/S- 392/411/34 IPC 1.Sanaual Ansari -- -- -- -- Mobile. 3. Ashish Ghosh -- -- -- -- Vehicle Scorpio. 4. One Silver colour Splender Pro without No. 7. Jiyaul Ansari. 2 pcs country made, 11 pcs bullet -- -- -- Total Rs 1,51,408, 13 Pcs Passbook, 04 ATM, 55 pcs condom, 5 pcs mobile. 5. Kanchan Devi @ Najji Ayeram, D/o-Let Sekshi Ahmad, Vill-Nawada,PS- Madhupur, Dist-Deoghar. -- -- -- -- 01 Bolero 01 Aapachi Motor Bike. 7. Mohan Yadav -- -- -- -- 01 Box Cloth. 5. Adarsh kr. khvare, s/o- Deepak kr. khvare,vill- jhaunsagadhi. -- 1 Loded Pistol -- 02 bullet 06 Mobile. 1 Jasidih PS Case no. 10/13, Dated- 15-01-13, u/s 392 IPC 1. Goutam Das,S/O- Asarfy Das, Vill-Punsiya. PS-Mohanpur, Dist-Deoghar. 2 Deoghar P.S Case no. 41/13,Dated-02-1-13, u/s 414/467/468/471/120 “B” IPC 1. Santosh kumar, S/O- Suresh Prasad, Vill-Jhuosagadi, PS/Dist- Deoghar. 2. 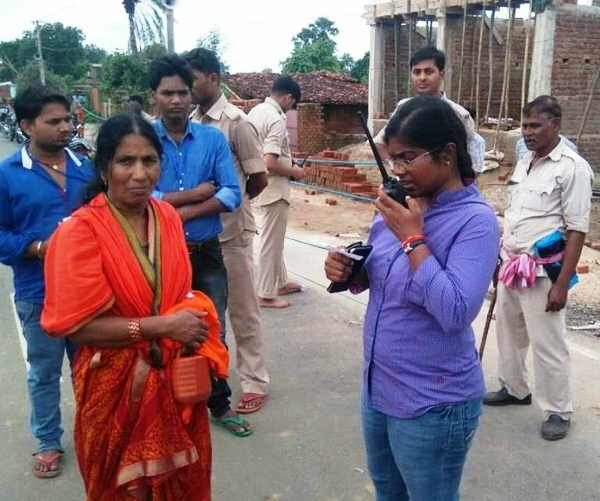 Shani Bose, W/O-Ashok Bose, Vill-Chandannagar Police Line, Dist-Giridih. 3. Dipak Sarma @ Ramchandra Sarma S/O- Dasath Sarma, Vill-Nagina Singh Road, Giridih. 3 Madhupur P.S Case no. 15/13, Dated-20-01-13 u/s-406/420/34 IPC 1. Akhter Ansari, S/O-Safatulla Ansari, Vill-Falkari, P.S-Madhupur, Dist-Deoghar. -- -- -- -- 01 Mobile Set, ATM Card. 4. Chunnu Ansari, S.O-Ebraar Ansari, P.O-Palajori, Dist-Deoghar. -- 30 Bor Pistol-01, 315 Bor Pistol-01 -- -- 12 Bor Maasket 120 Cartridge. 8 Deoghar P.S Case no. 71/13, Dated-24-02-13, u/s- 290 IPC, 47 excise Act. 1. Pramod Singh -- -- -- -- 500 Pauch Desi Sarab. 9 Deoghar P.S Case no. 67/13, Dated- 22-02-13, u/s- 414/467/468/471/120(B) IPC. 1. Bikram Mandal, S/O- Harihar Mandal, Vill- Dondiya Nawadih, P.S- Sonaraithadi, Dist- Deoghar. -- -- -- -- 02 Motor Bike. 11 Deoghar P.S Case no. 80/13, Dated- 05-03-13, u/s- 379 IPC. -- -- -- -- -- 01 Indica Car. 14 Deoghar PS Case no. 163/13, dt. 04.05.13, u/s.- 379 IPC 1. Yogendra Das @ Rajeev, S/O Ramprawesh Pd. Das. 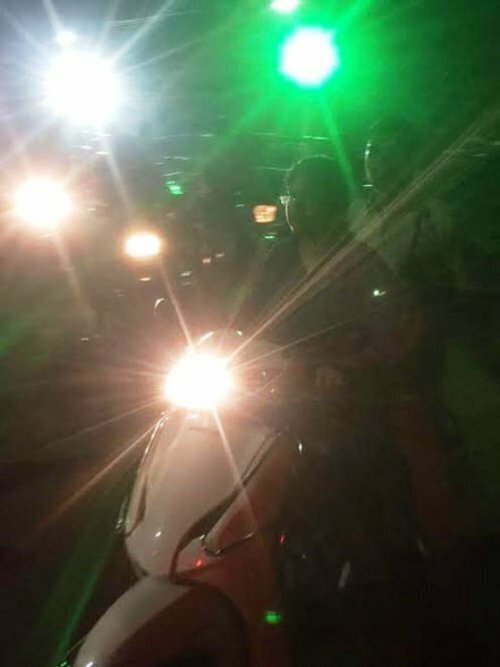 Vill.- Kathona, PS.-Katoria, Dist.- Banka, Bihar -- -- -- -- 01 Motor bike. 15 Deoghar PS Case no.- 194/13, dt. 17.05.13, u/s.- 379 IPC 1. Yogendra Das @ Rajeev, S/O Ramprawesh Pd. Das. Vill.- Kathona, PS.-Katoria, Dist.- Banka, Bihar -- -- -- -- 01 Motor bike. 03-Voter Card, 01-PAN Card, 100-Repeat, 10-But Fiber, 05-Hathori, 34-Gruping Stument 08-Iron Palet Patti 01-Tempu, 297-Desi Sarab Packet, 15-Plastic Galas, 2660/- Cash Rupees Volet. 7. Samir Miya -- -- -- -- 01 Magic Van, 500Gm. Explosive, 250 Sutli. 31 Deoghar P.S Case No. 764/13, Dated- 09-12-13, 25(1-B) 26/35 Arms Act. 1. Pankaj kr. Chowdhry, S/o-Haro chowdhry, Vill-Badhawa, PS-Baosi, Dist-Banka, Bihar.Current Address- Rampur Thakur Petrol Pump, P.S/Dist- Deoghar. 01 Spiring knife Red Pulsar Bike. 33 Deoghar P.S Case No. 800/13, Dated- 23-12-13 u/s-379 IPC. 1. Jogdipan Das, S/o- Amar Das, Vill-Purandaha, P.S/Dist- Deoghar. 2. Banti Kr. Singh, S/o- Rambilash Singh, Vill- Guddiya, PS- Lakhsmipur, Dist-Jamui, Bihar. Current Address-Purandaha, Satsang Colony, P.S+Dist- Deoghar. -- -- -- -- 01 Motor Bike. 3. Gourav Khawaide, S/O -Goutam Khawaide, Vill.- Punsia, Mohanpur. 2. Dhirendra Kr. Raut -- -- -- -- Kerosene oil-200 Lt.
4. Nelum Mandal -- -- -- -- Brown sugar-163 Pc. 11 Deoghar PS case no. 102/12, Dt.- 23.03.12, u/s.-7 EC Act. -- -- -- -- -- Blue kerosene Oil-800 Lt.
12 Deoghar PS case no.- 103/12, Dt.- 23.03.12, u/s.-7 EC Act. -- -- -- -- -- Kerosene Oil-1600 Lt.
2. Niraj Kr. Gupta, S/O Rajkumar Gupta, Vill.- Chakrma, PS- Mohanpur. 3. Yogendra Rout, S/O Banku Rout, Vill.- Dhanwar, PS- Mohanpur, Dist.- Deoghar. 21 Jasidih PS case no. 162/12, Dt. 02.07.12, u/s.- 21/22 NDPS Act. 1. Punit Kr. Dubey -- -- -- -- NDPS-25 gm. 07 Owner Book Other document. 28 Devipur P.S 104/12, Dated-19-10-12, u/s 414 IPC 25 (1) 26/35 Arms Act. 1. MD. Nasim khan, s/o-Kasim Khan, Vill-Sadi Mohalla, P.S-Barhi, Dist-Hazaribagh. 2. MD. Muslim Ansari/Bablu, s/o-Gulbali Miya, Vill-Madanmundi, P/S-Birni, Dist-Giridih. 3. Birendra Singh, s/o- Late Ramsaran Singh. -- -- -- -- 25 gram Narkotic Drugs Phycotropic Substance Act candle 2, chillum 1. 30 Deoghar P.S 362/12, Dated-02-10-12 u/s 20 NDPS Act. 1. 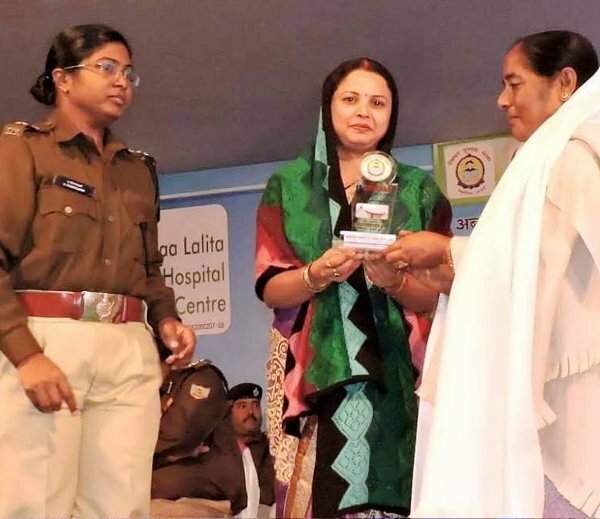 Manju Sinha, W/O- Late Ram pd.sinha. 2. Raju Sinha, s/o- Late Hare krihna lal. 34 Deoghar PS Case no.79/12, Dt.30.12.12, u/s.-364A/120B/34 IPC 1. Abhisek Sarma, s/o-Tripurari Sarma, Vill-Sabesar, p.s-Kachma, Dist-Mirjapur (U P). 2. Sri Bhagwan @Sani Kumar, s/o-Sri Ramakant Sarma, Vill-Chumraha, p.s-Shivsagar, Dist-Rohtaash. 35 Sarnath PS case no.98/12, Dt. 17.12.12, u/s.-395/397 IPC 1. Denesh Paswan, s/o-keta paswan,vill-Kalyanpur,p.s-Simultalla, dist-Jamui. 2. Nausad Miya, s/o-mustafa, Vill-Karankandih, p.s-Simultalla, dist-Jamui. 3. Nausad Miya, Vill-Pipradih, p.s-Simultalla, dist-Jamui. 4. Neman Yadav, Vill-Tarwadih, p.s-Jhajha, Dist-Jamui. 5. Ajay Das, Vill-Charaiya, p.s- Simultalla, dist-Jamui. Details of achievements (Criminals/Naxals Both) up to August, 2011. Deoghar Town P.S 74/11, Dated-19-03-11, u/s 364a/302/201/120(B) IPC Industrialist Sri Nand Kisore Sighania and rickshaw puller were kidnapped Rickshaw puller and dead body established in D.N.A Test Eleven notorious crime have been arrested and all of them are in jail. Inter State criminals were involved in this case and it was Deoghar Police who become successful in arresting those infest ate criminals who are at proceeds behind the bar and in this case achievements of Deoghar Police is marvelous one, Since this has been done without giving any ransom to the criminals. Police H.Q has highly appreciated this achievement criminals were 1. Baban sing of P.S Sangrampur, Dist Mungar, 11. Guddan Singh, 111. Chandan Singh, iv. Sonu Sing all fof village-Danlatpur, Dist-Jamui (Bihar) v. Rupesh Singh of Vill- Ladma, P.S-UdaKisanganj, Dist-Madhepura. Vi. Pranal Deo both of Deoghar Dist, v11. Bablu Tiwari, viii. Saroj Singh alis Pintu Sing, Dist-Madhepura (Bihar) 1x. Shashi Kumar alias Konahaiya Sing & fauji of Alamnagar, Dist-Madhepura. Mohanpur P.S 164/11, Dated-08-08-11, u/s 392 IPC One Auto Rickshaw recovered. Mohanpur P.S 126/11. Dated-25-06-11, u/s 379 IPC. Palajori P.S 60/11, Dated-16-08-11, u/s 414/34 IPC One turtle loaded wall. Community policing can be a tool to bridge the gap between Police and the public. I may self have experimented widely this effective tool to win the confidence of Rural population of specially of the depressed, tribal’s and weaker sections of the society in Naxal infested areas far flung from district H.Q. 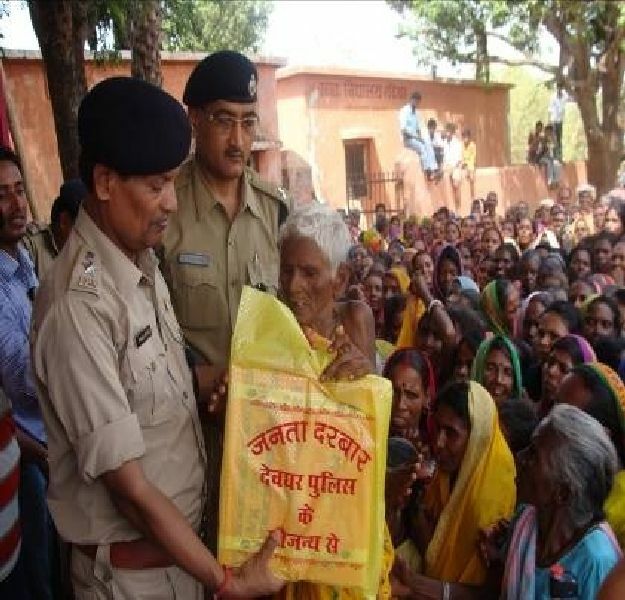 such as LOHARDAGA DISTRICT, Any governmental schemes designed to improve the quality of life and standard of living of the tribal’s population and of income generation is required immediate Police protection and support. The developmental machineries entrusted with responsibilities of upliftment of these depressed classes seldom pay visit in these Naxal affected areas. Police pay regular visit in these areas. Police operation led by senior functionaries of state and central paramilitary force must endeavor to win the confidence of the people specially tribal’s in hilly areas. Lower functionaries engaged in operation against Naxal in these areas must be sensitized about the bad and hostile impact on them if they resort to unpopular, unwanted harassment and torture in these areas. During my tenure as SP LOHARDAGA, Special Operation & L.R.P where carried out with camping at PESHRAR, Strong hold of C.P.I (MAOIST) but without any harassment and misbehaviour meeted out towards rural population in difficult terrain of Peshrar C.P.I (MAOIST) ZONAL COMMANDER OF ARMED DASTA, C.P.I (MAOIST) tried his best to Pressurise local rural population against the Police camp at Peshrar but they had accepted to be tortured in their hands but to surrender before them who protested against police camp. Now with the help of community policing and goodwill of district Police, Peshrar has been made free from the hold of Maoist. Police had taken initiative to get Residential Model High School Sanctioned and also PESHRAR AS A NOTIFIED BLOCK; Peshrar is a place where S.P Ajay Kumar Singh Was Murdered By C.P.I (Maoist). Now Peshrar block is made functional. This can be cited as a victory of Police department. 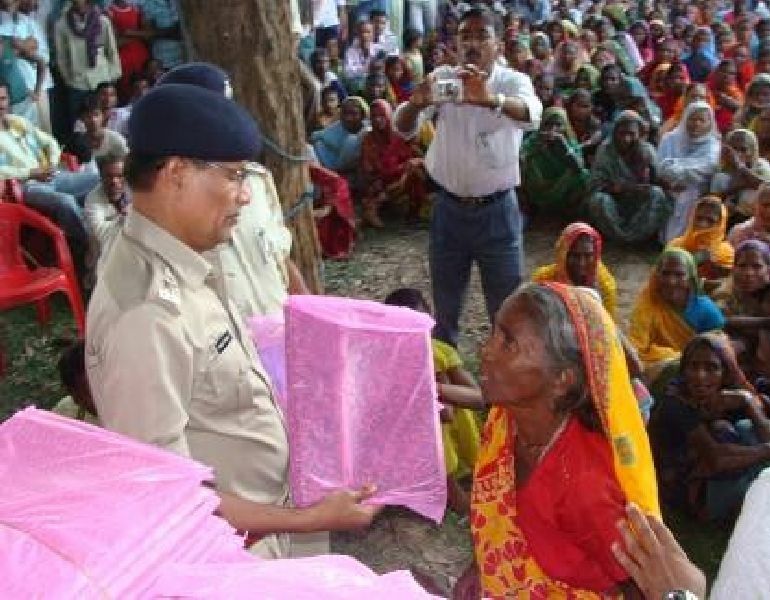 Police can also use public distribution system as a tool to win the confidence of deprived masses. 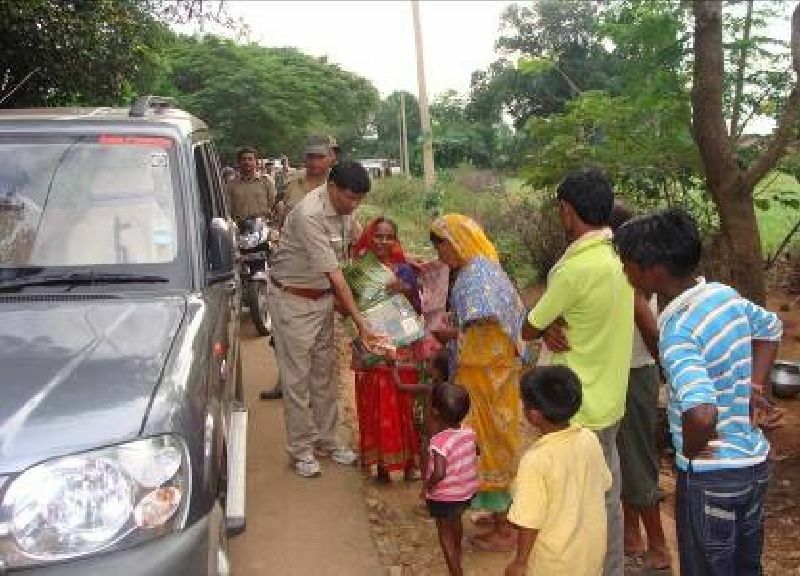 The Naxal as well as ration Mafias are found hand-in-gloves with each other in Naxal infested areas in particular and other areas in general by police can win the confidence and seek cooperation of such deprived weaker section. I have also experimented it in Chatra District when I remained as S.P. for a very short period. Due to this the goodwill and sympathy shown by Police department towards this economically and socially deprived populace will always pay dividend. This proverb has to be kept in mind by every Police offer and Police personnel while going on operation against these NAXAL OUTFITS, “FIRE OPERATION WITHOUT BAKING OF SOCIAL OPERATION CANNOT BE SUCCESSFUL AND EFFECTIVE”. Deoghar Police has done special job while solving the theft case of records of District Record Room within 24Hrs only. The arrest of DHRUV NARAYAN PARIHAST with evidence of conspiracy followed by arrest of SUNIL KUMAR with cash Rs. 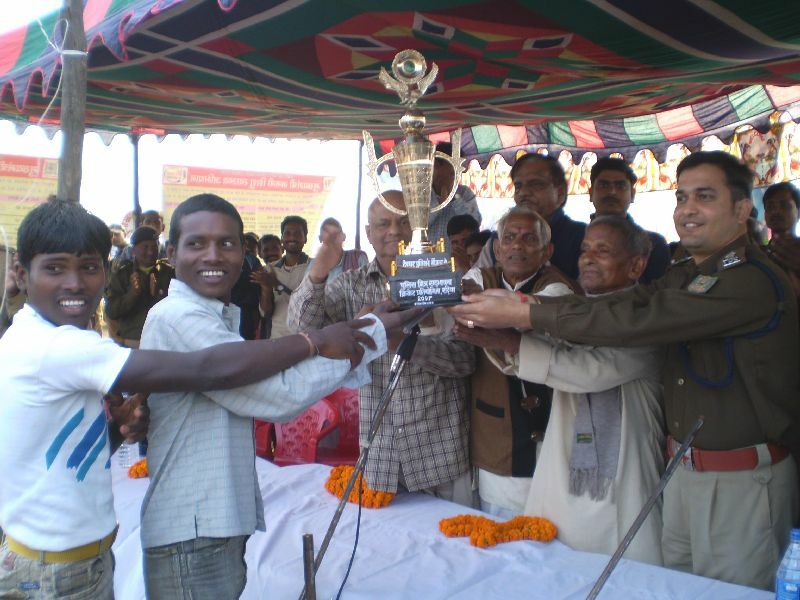 7,29,865/00 raised the faith of deprived and weaker section of the society in district police. The effective actions taken against land mafias encouraged these poor and illiterate people to come before the deoghar police to put their grievances of land grabbing and forceful occupation of their Jamabandi land. District police for the first time has constituted a special cell in S.P.Office to collect such applications of land frauds by land mafias. More than Sixty such applications have been received in this cell headed by Add. S .P. (Operation) Deoghar. District police is going to get these applications enquired by Senior police officer & legal actions on each application will be taken as per evidences. This action of Deoghar police can be enumerated a mile stone in domain of Community Policing. An effective policing against such stalwarts & law breakers can serve a tool of bridging the gap between police and the weaker sections of the society and the public in general. Only One particular police action has enhanced the faith and image of Deoghar police in the eyes of Masses..